Call Today For Machine Parts! If you work in the medical or technological industry, you depend on machines to complete your daily operations. The machines need to complete their tasks with accuracy. They can’t do that if the parts they’re made out of aren’t made with precision. 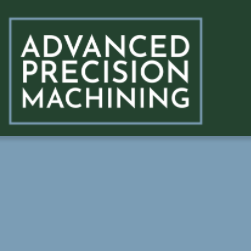 When you need parts for the machines at your laboratory, turn to Advanced Precision Machining. Our machine shop has been a top choice in Boise, ID for more than 35 years. We also serve the Boise, Nampa and Treasure Valley areas. We offer parts for specialized machinery that you won’t find at other companies. We’re focused on meeting your requirements and supplying the parts you need in a timely manner. Get in touch with us today to discuss your needs with our professionals.